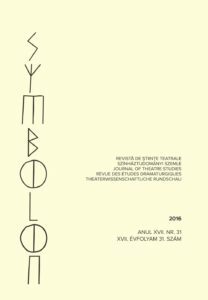 I’m really excited to share that my first English paper has just been published by Symbolon based on the content of my presentation on the Vanishing Points in the Theatre Conference in 2016. Thanks for the editors and collaborators. The title of the paper is Theatrical Bridge: The Art and Actor Training Method of Tadashi Suzuki From a Hungarian Perspective. You can find the whole content HERE.